Today's Akesson's (AO GmbH, Zug, Switzerland) sea salt bar was assembled from several interesting ingredients. 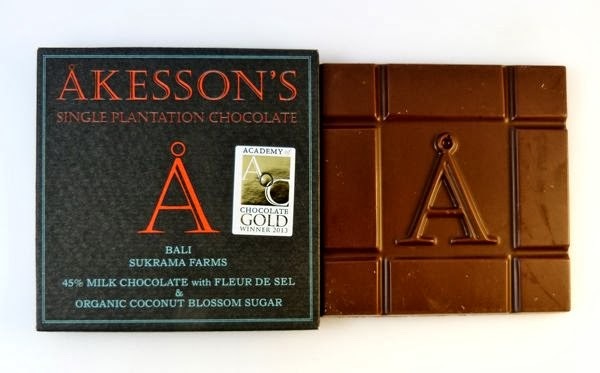 The 45% milk chocolate was made with cacao beans from a single plantation, Sukrama Farms, in Bali. 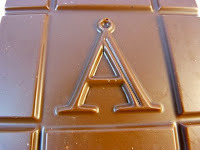 The addition of a bit of fleur de sel (salt) gave the bar a pleasing, rounded caramel taste. However, I'm guessing, what really amped up the caramel flavor in a wonderful way was the addition of organic, coconut blossom sugar. Today was Day #5 of Chocolate and Salt Theme Week. *On the other hand, "pure" cane sugar is a popular choice, where the undiluted flavor arc of certain cacao beans is the desired focus. 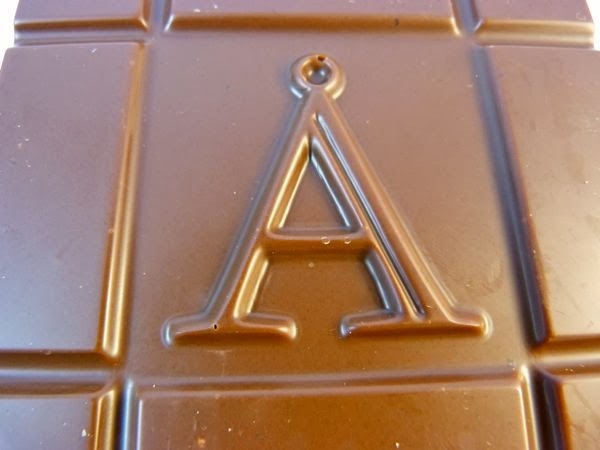 For three-ingredient bars (cocoa solids, cocoa butter and sugar), especially, every ingredient must be of a high quality and play well with the others to yield optimal, clear as a bell, results. Disclaimer: I love playing with the "browner" richer, natural sweeteners when cooking. A touch of molasses, organic coconut sugar, natural brown sugars, can improve sweet or savory dishes.